Simply Charming … because life is too short not to dream it that way. This is the home of an earth nomad, a dabbler of sorts…you know, into this and that, here one minute, somewhere else the next…but through all the ups and downs of life, my hope is we can hold together in love as we journey down the blogging path. 2. Living in gratitude changes your life – for the good! Thank you always – ☼Sun, and if you need more chatter, my Twitter. In case anyone is a stickler for details: Boring Details. Hey thanks and yay i love power energy! Right back at your blog too! Great blog. And thanks for following mine! Why thank you and :)) to meet you! You are right about the saving this planet because it has chocolate! Yum!! LOL thats the one thing I wouldn’t pass up ever . Why thank you for the sweet blessings amira! I’m speechless….I’ll go over to the link now. Happy 🙂 Holidays to you too aRVee! Thank you so much Jake…you are a blessing. I have just nominated you for The Candle Lighter Award!! Hope you enjoy it! I am enjoying the light Cee! Thank you my friend for bringing this gift. “no time for Mom, gotta go to class!” That made me burst out laughing. Mum complained that my brother used this line on her ALL the time.. even at 9pm. Lots of laughs Jane…your brother sounds like a lot of college kids these days. Their signature line for everything at any time!? What the…????? Seriously, class at 9pm. Geez, college life sure has changed. Thank you for visiting my blog today–I’m really glad to visit you as well, because I think you’re the one Betty Hayes Alright mentioned to me some time ago. We’ll find out! I won’t linger tonight because I’m down with a horrendous cold, quite miserable–so I’ll see you again soon, y’ hear? I did want to say that I love the purple words–so so true! God bless you! PS: I really really love the picture on your header/banner, whatever–that is gorgeous!! First, sorry to hear about nasty cold~ sending you some *cyber deadly germ killer to knock them nasties out of ya. Second, thank you for your kind visit and conversation…it’s been a real treat for me. Hope you’re well–God bless you Big!! Is sounds as though we have quite a bit in common. How’s the yoga coming along? Well, my body muscles say ouch and complains on a daily bases but still doing some yoga moves everyday. 🙂 Thanks for the chat…always enjoy them! Thank you for the honorable Versatile Blogger Award gift! I am enjoying it and looking forward to meeting all your nominees. ~Peace and Radiant Love to you Dadirri7! I nominated u for the 7×7 link award Congratx!! Discovering your blog and going through your post is a blessing. So much beautiful experiences and memories that brings joy and inspiration to the heart. Wishing you and your family love, peace, happiness and good health for 2012…. Thank you so much Connie! You are a blessing and a bright light to all who are in need of hope and love in this world. ~Peace be with you always Connie. Love your blog its full of sunshine. Thanks for visiting my blog. My apologies to you Francine for I missed your visit here. Thank you for your kind and encouraging words. I appreciate them all! 🙂 God bless you. oh please don’t grow up — we’ll miss that lively, charming, generous, uninhibited Sunshine, the one who is finding God in everyday things, and acting and AWESOME and giving and receiving. Thank you so much for visiting my blog. I’m glad to meet you, too! Hehe . . . don’t worry suitablefish, growing “out” is more what I’m doing these days. Oh, my! I like that — I’m ‘growing out’, too! in a while. . . Thank you so much for sharing your thoughts imexcited. I must have missed your visit and just happen to be scrolling through and I am sooo sorry! Wishing you abundant peace and love. Thank you!! Thank you Dianne! Nice to meet you! Thank you for visiting my blog , your blog is lovely !! Weekends are always beautiful 🙂 Thank you Myrto. Many blessings to you! I recently discovered your blog. I read your about page and have been looking around. I like it. I plan to come back. Thanks for visiting my blog. thank you for adding me in your blog-roll – I like your posts and comments too! It’s an honor my friend . . . thank you for your kind words and bringing many inspiring posts here into the blog neighborhood! gee! Thank you for taking the tour to my posts! I hope you have liked them as much as I have liked yours. I appreciate your visits. When I started blogging I did it for myself. I never thought someone would go and leave comments or like my posts. I was wrong. Now I can even even express more free knowing that there would be one, or two or more that think or feel the same. I hope we continue in this journey of knowing more bloggers! Oh, I would have visited earlier but had some computer problems and poor time management skills on my part, so yah, I finally had some time to go out and visit a few blogging neighbors. Yay! Once I start reading your posts, it’s like a good movie or book, you want to keep reading! Cool project. The other day I stopped by another girl’s blog who had a similar project. Her aim was to put smile on everyone’s face. And I did smile on her blog. Hello Sajib! I believe the kingdom of heaven starts right here with our own lives and hey, may as well make it a fun and happy place as best we can. My appreciation to you for sharing your thoughts and all the power to your blog too! An awesome blog!!! 🙂 Love the way you string together those simple words and create such beautiful sentences…! Great work! Hell Sunshine 🙂 thank you for visiting my blog! You are very kind and I just love your gravatar photo. It’s the sweetest! Hello Sunshine! I just tagged you! Since I enjoy your blog, I have tagged you. Hi. Sounds like we have a lot in common – a love for God, rural life, motherhood, and grammar! I look forward to reading more. You are a blessing to us all. Inspiring thoughts filled with warmth and joy. Thanks you. Oh, I hope the tech difficulties is not from my end…you say, Caddo, you couldn’t post a comment? Hmm, that’s ?? mysterious! Please let me know what you encountered and if it’s on this end, I will try to remedy the problem. Oh, yay. Thanks for stopping my my blog… and for your cheerfulness, which is always, all ways, an upper, particularly when I’m swamped and leaning towards grumpy from job search and computer challenges. I love the picture/color changes you do on your site! 🙂 I’m getting itchy for a change…going to tinker with mine soon! Well, that’s a relative term…but it’s on my list! It’s amazing how much one can ‘play’ around with whatever theme you are using…I figure, since the weather changes, so must my look of my site. Lol! It’s great to see you and thank you so much for your encouraging words. I’m doing a quick check in here before I have to run out on another errand, but, will stop by to see on your recommendations later. I’m hoping tonight. Sheesh, life needs to slow down so us bloggers can leisurely enjoy oodles amounts of free time running through the WordPress neighborhood. Lol! Hi Sunshine, I know Genie nominated you for the One Lovely Blog Award already but here I am nominating you again 🙂 Here’s the link http://imexcited.wordpress.com/2012/06/18/one-lovely-blog-award/ just in case. Thanks. Have a great day! Hello i love your avatar so i come her and push the door..;really happy to discover your world. Where are you from? Awesome classy lady, Miss Diana Ross! Thank you for sharing your inspiration and it was the first time for me to see the clip. I am grateful for the gift of imagination…what would life be like without it–yikes! May you be blessed abundantly in His light and love…and power to your blog. 😉 Yay! Dropping some lines, I’m back again. I have seen you wondering around my post which I appreciate very much. I have come back and forth to yours too. I thought deeply, what could I say in return to Sunshine?, and then I notice (really looked into) the photo you have here, and then new what to write. You are connecting to earh and all good there is too it; you’re lending a hand (that might be why you’re such a sunshine), you are willing to learn or, better put, to know more, you like taking chances, and have the universe on your side; and more important, you look into the eyes… That’s what I can see through your picture, and something else: you’re unconventional !! Let life always come easy to you. Oh, and one last thing, keep sharing your photos and stories with us, it really helps make this life journey a lot lighter and definitely more enjoyable. Great work! We love your idea of connecting to the outer world. That’s how we see our blog and it’s been blessing. Just dropping by to see the other bloggers featured in SweetJellyBean’s DIY blog header post. Your banner is very charming! Will have to come back and look around. Oh, so glad you dropped in, Cloudsfullofrain! I love your DIY blog header–simplicity at its finest! I appreciate your kind words. Glad to be apart of the convo. ~Abundant light and peace to you! It was a lovely visit, Dorothy and may I add, you are blessed to have horses in your life. I hope to have just one to care for one day. Faith, always, Sebastion…I never leave home without it! I especially want to have it when it’s time to go, “out of this world!” LoL!! Hi there! You are welcome, it is truly a blessing! May you continue to walk in “mountain moving” faith for your life and the lives of those you touch! Blessings! Hello Amaeguerrero!! Great to meet up with you and thanks for this visit and chat. I celebrate this time with you…thanks!! Thank you so much, Retired Sort…congratulations to you and I will be right over to check in on your award. Feel free to not participate if you find it boring or difficult to “circulate” or if you’ve been nominated before! Thanks for following me along. I have added your blog to my google reader – I look forward to getting to know you. thank you for your lovely visit, Maggie. i am a novice when it comes to rumi but i love the simplicity yet depth of his writings. Hi Sunshine. Just wanted to thank you for visiting my little corner of the world. Happy New Year. Thank u 4 being the top commenter on my blog on 2012!! …celebrate BIG & dance to the music!! Haha! I thank the goodness of Rommel for putting the spotlight on your blog. many thanks…and a very beautiful Australia you have shared in your blog. your photographs are stunning and makes one wish they could jump into the page to your location! I like your blog and the words you are writing here. A “feel good” atmosphere! Love it! Keep sculpting light, Ms Sunshine, and bless our heart with your Love. And grab your finest finest wine. And dance under the naked stars. you have a good concept! you are not alone, Bruce…typos/grammar problems flow naturally in my world…ha ha. you have some pretty good quotes as well. thank you for sharing your love for Merton. i have to admit, i have much reading to do when it comes to Merton. one of these days i am gonna tackle down all his writings!! ALOHA, thank you for visiting my blog. I hope to come by and read your posts, too! you’re welcome, Shofar! ☼sunHUGS and abundant blessings to you. now what the heck does that mean?!? 😦 comments tagged as spam meaning they are in your spam box? hmm, i may go over to forum and ask what i should do to solve this. thanks, Phil and apologies for the hassles! thanks for letting me know. a very creative greeting, AnElephantCant! Happy I found your blog, I am looking forward to your cheerful and sunny posts. Such a “charming” blog! What a cute header. I love those last two quotes. I have nominated you for Super Sweet Blog Award. Enjoy! hi Amira! thanks so much…i’m running on a tight time frame at this moment but will check back with you later. ☼sunHUGS!! 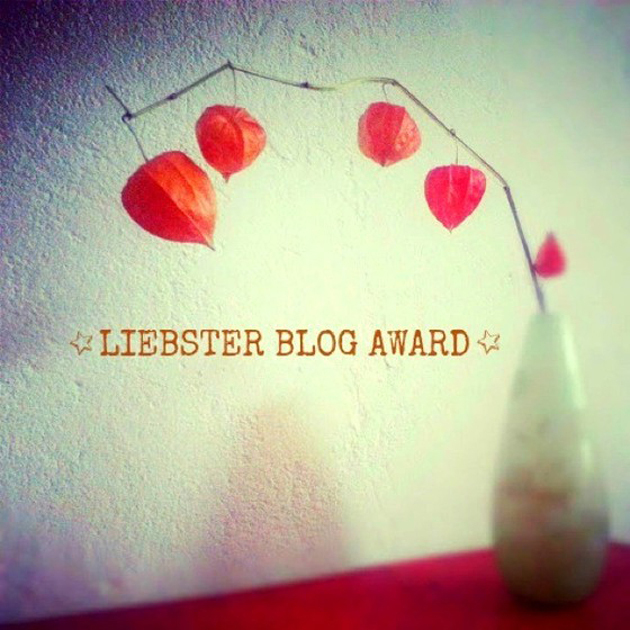 Just want to let YOU know, Sunshine, that I have nominated you for the Liebster Blog Award! Your site is so versatile and vivacious! Love reading it! Congratulations! I hope you will accept this award, Sunshine! I have found the awards so meaningful…it is an honor to receive recognition from a fellow blogger and, more importantly, it encourages one to read other blogs and introduces us to such talented creative people! I think the awards help to strengthen the Writing Community here on WordPress. Congratulations! thank you, White Pearl for your kind visit. this page is a bit long…but necessary to include the business aspects of blogging. i wish you the best as well in your studies and your blog affair. 🙂 you bring such loving energy with you…thank you again. ☼sunHUGS!! I have nominated for Very Inspiring Blogger award because your blog is amazing! You have a lovely blog. Thank you for visiting and following mine. thank you for visiting. i appreciate your kind words. ♥ blessings to you. Hello my big ray of sunshine! I just want to thank you for paying enough attention to my featured bloggers. 😉 Really appreciate that. Hello my Sunshine, who ends up with “…a smattering of everything, and a knowledge of nothing.” Thanks for taking an interest in Modes of Flight. In case I forget later, Merry Christmas! Thank you for coming by and following my blog. I am very happy to be drawn here. 🙂 God bless you. Hi, Sun! I’m curious about how do you make your haiku in English. I’m looking forward to your haiku post. i don’t think there is a right or wrong way…just express yourself. Thanks a lot! I probably understand. English haiku consists of 5-7-5 syllables. On the other hands, Japanese haiku consists of 5-7-5 characters. such a delightful note, Linda! thanks and yes, we can enjoy the quotes for ourselves. (smiling over your visit) happy writing!! Noticed the Blogging U logo. Are you writing101, too? Philmouse, your Molly’s shadow dance post encouraged me to give Bloggin U a try although yesterday’s assignment, the one on descriptive writing, well . . . still in draft mode. 😛 pats to Molly and RC!! We’re trying, too(although I swore I wouldn’t get tangled up in one of these …a bit difficult everyday…and some ideas are showing up that don’t exactly fit the assignment (like todays early one)…how can you pass up a goofy Father’s Day gift? Not totally happy with my descriptive one, but crunching onward. We’ll see what happens today. Paw waves and encouragement! Noooo! Weekends are for going away from computers! Thanks For following my blog ‘Crazy fACTS’. Glad to connect with you. Your writing reflects charm & cheer..!! Hope you are doing well! Nothing like a sunny notification in my “like” pile to bring a smile!